"Knowing can be a curse on a person's life. ever go back and pick up your suitcase of lies. Heavier or not, the truth is now yours." We are a collective of like minded individuals seeking to assist each other and Humanity on the path of Soul 'evoluting', consciousness awakening, and raising our collective vibration to ascend with Gaia to the 5th Dimension. At this time of the Procession of the Equinoxes (PoE), also called the "Shift of the Ages", there are new, increasing energies streaming into our solar system and onto our beautiful blue/green earth. With the assistance and encouragement of many Beings of Light from the Divine Realm, we offer this website as a Resource for those seeking to understand what is taking place at this momentus time in our human history. As we move toward true galactic consciousness, one can notice how Humankind has begun to awaken on all levels. We believe that we will soon view and acknowledge ourselves as the 'Galactic' Humans that we are, and with joyful intent and full awareness, assume our rightful place among our Galactic sisters and brothers! 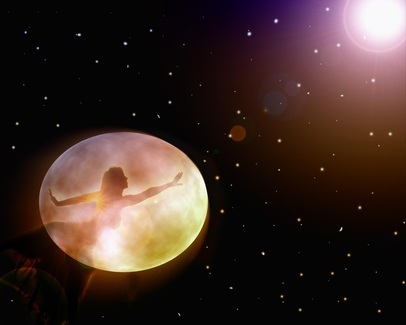 The potential of this new initiation into your Light Body vehicle allows you to align with the most authentic, eternal Divine Self within your physical being, so becoming the Homo Luminus – a Divine being of Light in human form. Keep sending Light and Love to everything and everyone… may we use these times and opportunities to create peace on earth for all beings, where all are free to BE. Please browse our Resources page and peruse our Blog for additional information. 2013-2018 Awakening Earth Angels. All rights reserved.